There is a chapter missing from this book. Well, you see what Winner is doing. She’s really ignoring very little at all. 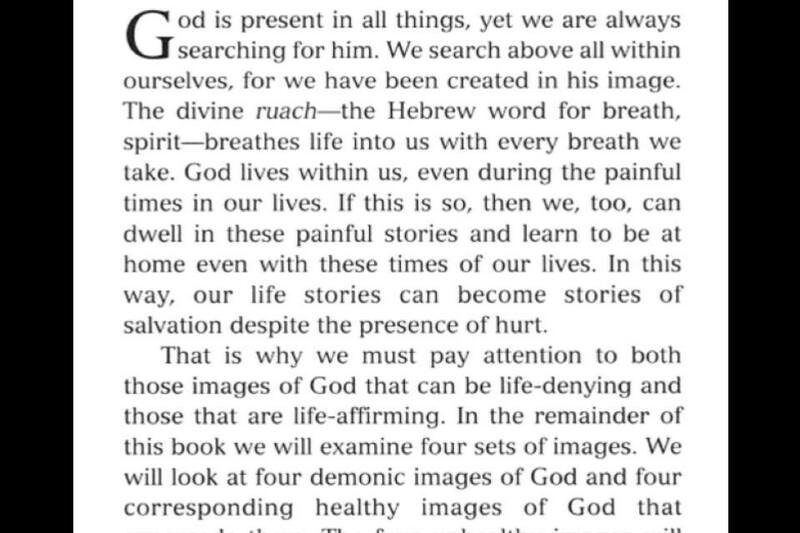 And neither should we when reading (about) all the various images of God in the Bible. The question begged is our response. Sometimes when men are drawing pictures of their gods they don’t realize the image they are seeing is from the closet mirror. Thanks very much for your respective insights! Winner’s startling confession of omission — her Catherine-Keller-like “actual saying of what she cannot, ostensibly, say” — is one of the most powerful parts of her book. “The image whose absence (to me) is most conspicuous.” What a subjective construct! Whose conspicuousness is it? The Bible’s or Winner’s or that of both? Isn’t it a conspicuousness of all of ours? If we will read the Bible! How can we miss it? Isn’t “IT” the proverbial elephant in the room if we sit in silence about it, or talk about other images of deity in the Bible in preference to IT? Or relegate it to a post-chapter “short note,” to a quick comment about an absence, a missing chapter, an intention to talk about IT only by intending, at first, not to say a thing about it? I’ve read Winner’s book as I’ve read Wally Lamb’s novel, The Hour I First Believed. “A woman who surrenders her freedom need not surrender her dignity” is the sign at the entrance of a prison for women in the book, a first of its kind American institution in which women are given justice that is restorative not punitive, in which there was acknowledgement that the women imprisoned in the USA at the time, with men, were there because they’d been raped and had contracted a STD or had become pregnant or were “insane” for various reasons – and when then in prison with a male population, and/or with male only guards, were further abused sexually, were regularly raped. No one can develop his own personality except at the expense of other people. Even the most saintly and humble man — the revered and much loved leader of a devoted congregation, for example — inevitably makes his followers dependent upon him like little children. It is not his faults [so much], but his virtues, his fame and his richness of spirit, which hold them back and prevent them from growing up themselves. In the margins, I wrote Jesus Christ, and Joseph of Exodus, and MLK Jr. and Gandhi and, even, Mother Teresa. Thanks for this post. In so many ways Ludwig Feuerbach was right.